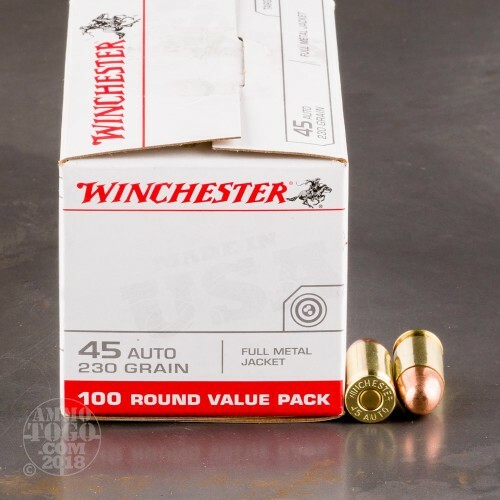 This is 45 ACP Winchester USA Value Pack 230gr. Full Metal Jacket Ammo. It is brass cased and boxer primed. 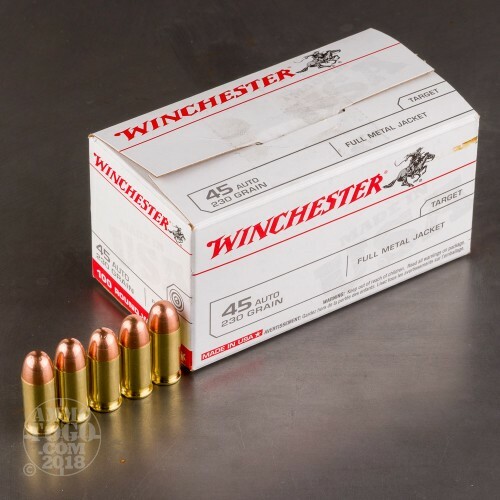 It is clean reliable ammo for target shooting. It comes packed in 100rd. boxes from the legendary Winchester ammunition company. American-made and trusted for generations, you can't go wrong with these 45 Auto rounds in your pistol. Couldn't pass up this steal, Thanks again ATG! Ordered my 45acp and a ammo can. Nice selection of products and super fast shipping and service. Good prices. Thanks ATG. Good reliable ammo. Let's just face it, way things are going with ammo shortage any ammo is good, keeping in mind that the price is right. 5/5. The ammo shoots cleaner and a bit "smoother" than many of the ammunition that is out there today. Now if Winchester can just sell JHP in bulk. I just ran off a box of this through my H&K USP Compact 45, it fires well, its a bit hotter then the Remington I've been using also not as accurate. 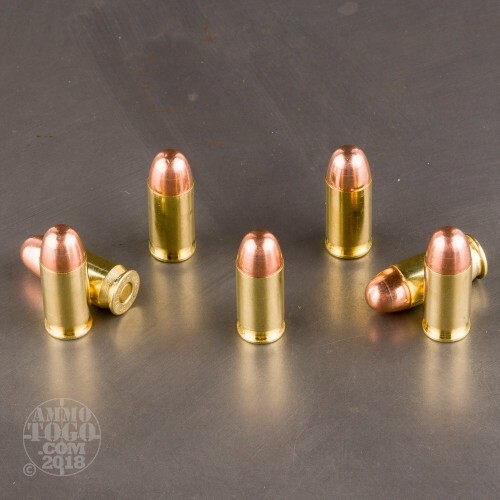 no misfires, no jams, great plinking ammo. If it cost more i would have rated it a 3, but at 33 bucks a box, you can't beat the price. 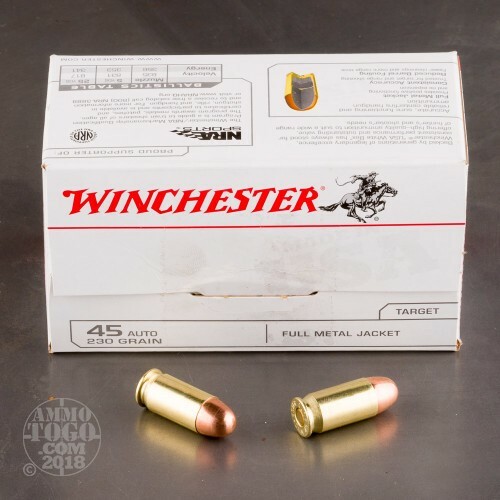 I love the Winchester white box, have fired over 1000 rounds without any problems. This ammo burns a lot cleaner than the Russian and Mexican brands and the brass is in good condition.